Congratulations to the winners of the 2017 New York City Drone Film Festival (and to all of the folks who submitted)! I was unable to attend the film festival in person this year, but was honored to be on the jury and to see all of the submissions. The quality of drone-focused videos is going up each year, as is the diversity of content. The winners are all embedded on a page over at NYCDFF's website, which includes a list of submissions. Unboxing the Hover Camera by ZeroZero Robotics. Everything is really well thought out, and I'm looking forward to putting it in the air. Both batteries are charging now via the dual-battery charger, which is very compact. This Week in Photo TWiP Talk 37: Frederick Van Johnson and I chat for 15 minutes about the new DJI Phantom 4 and what it means for consumer drones. This morning, DJI announced the Phantom 4, the latest in its line of best-of-breed consumer drones. The new Phantom 4 is the first shipping consumer drone to feature obstacle avoidance and subject tracking using its front-facing vision cameras. I processed 3D models / maps using Pix4DMapper Pro and DroneDeploy using the 569 aerial images I took at Cosson Hall on Treasure Island the other day, and the results are pretty spectacular. The images in this post are actually renderings of the texture-mapped 3D model, and are not photographs. The FAA UAS Registration Q&A states, "The registration number may be placed in a battery compartment as long as it can be accessed without the use of tools," so I put my first registration label, which is on a DJI Phantom 3, in the battery compartment. Yesterday, I went on CNBC to talk about drone registration. I only had time to really share that drone registration exists and fly around in the studio a bit using a Blade Nano QX 3D (one of my favorite indoor toy drones), but the reality of drone registration is that it is a complicated issue. Today, Lynda.com released a documentary featuring Aerial Photography Flight Club (Mark Johnson, Barry Blanchard, Russell Preston Brown, Aaron Grimes, Stacy Weskerna Garlington, Romeo Durscher, and me). The documentary is about a few folks in the SF Bay Area who discovered aerial imaging through quadcopters as part of the first wave using RTF (and modified) quadcopters a few years ago. Registration is for hobby use only. Commercial use still requires a Section 333 Exemption done the old way. Registration costs $5 per individual (all your drones get the same ID), but if you register before Jan 20, 2016, you get your fee refunded. If you are under 13 years old, you can register via someone older than 13. So I guess if you are 12, you can have a friend who is 13 register for you (what?). Only U.S. citizens can register. It is currently unknown how non-citizens register. For full details, check out the FAA registration FAQ. The Vice / Motherboard article presents a good summary, and also details potential pitfalls. Also, I wrote up a short piece for Newsshooter. Stop buying crappy, anonymous drones! 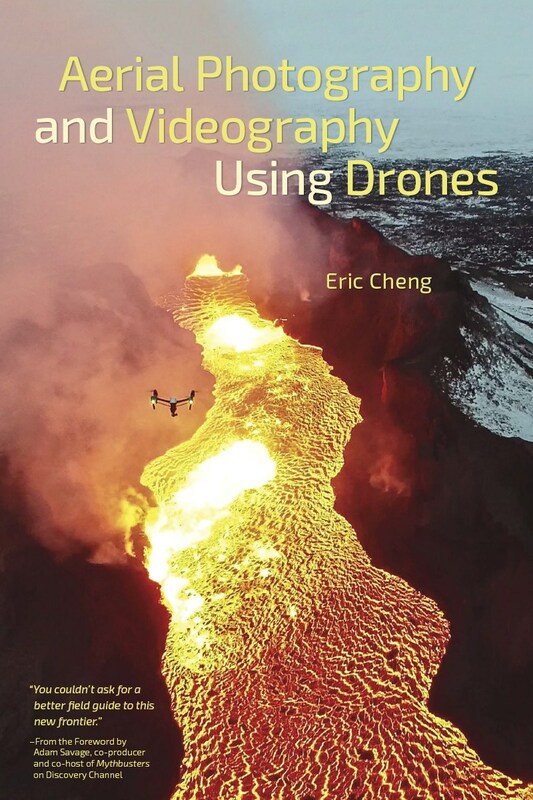 Peachpit has put up an interview with me about taking pictures from the air using consumer drones. I talk about some of my favorite aerial experiences, safety considerations, and gift-giving tips for the holidays. Each flight log has space for 23 flights' worth of data, although each "flight" entry could be used for multiple flights during a particular flying session. Field Notes/Tested.com Flight Logs are sold in 3-packs for $10.95. During the Good Morning America #GMA40 drone hour on November 17, I set up a Ricoh Theta S (360 spherical camera) to capture the action around the live broadcast. You can drag the point of view around using your mouse or finger, or view in Google Cardboard or equivalent (requires full screen viewing). I got a tweet from @JulianHzg today alerting me to the latest brilliant xkcd, which features an interactive "hoverboard" game. The world in hoverboard is giant and brilliant, and there are so many easter eggs in there, it's ridiculous!